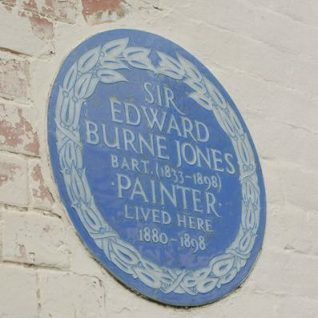 Edward Burne-Jones (1833-1898) was one of the foremost artists of his day, and a high profile member of the Pre-Raphaelite brotherhood of artists prominent in the 1870s. When he was a student at Oxford he met William Morris and the two had a lifelong friendship. After discovering the writings of John Ruskin, they decided to devote their lives to art. Burne-Jones painted in oils and many of his paintings had literary allusions. 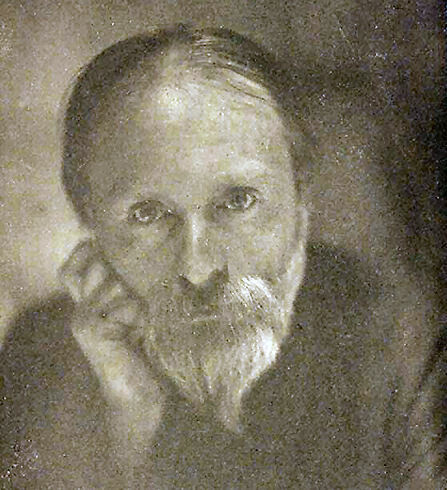 He also produced tapestries, stained glass, tiles and mosaics. With William Morris he set up the very successful furnishing company Morris, Marshall, Faulkner and Co.
His work today can be seen in many local galleries and local churches including St. Paul’s in West Street, the Church of the Annunciation in Washington Street, St Michael and All Angels, Victoria Road, and at St Margaret’s in Rottingdean. 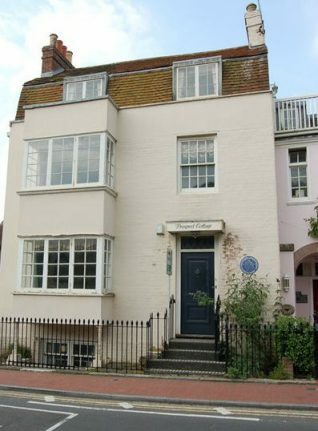 He lived for many years in Prospect Cottage, and Aubrey Cottage in Rottingdean. The present Prospect Cottage was, in Burne-Jone’s time, Prospect House. A staunch traditionalist, Burne-Jones was unhappy with efforts to modernise Rottingdean. He was particularly unhappy about the intrusion of Magnus Volk’s Daddy Long Legs railway. When the railway was smashed in a great storm, Burne-Jones was reported to be very pleased.